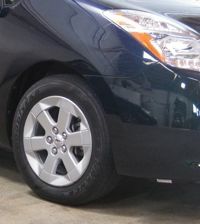 What are the best tires for the second generation Prius? This is a question we’ve been asking for years. Goodyear Integrity (the tires that come with the car) are worthless in the rain and wear out too quickly. After much consideration, we settled upon the Goodyear Assurance Fuel Max (see the original blog). 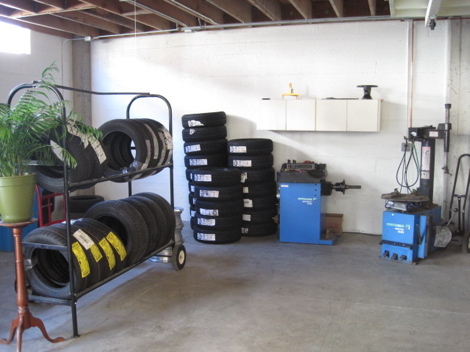 When we moved to our new shop and added tire machines, our enthusiasm grew (see the second blog). Another year gone by, more experience gained, and now a third blog. Having installed countless numbers (including on the shop car) it turns out the Fuelmax are a disappointment in their own right. While a genuine improvement in terms of traction, they last about as long as the Integrity (between 30,000-40,000 miles) despite boasting a tread life warranty of 65,000 miles. With multiple customers needing yet another set (and their corresponding irritation at the cost) we sought another option. The main concern for any hybrid is fuel economy, and tires play a huge role. Air pressure cannot be overstated: we recommend 40psi front and back on 2004 Prius and later. Beyond inflation the tires must also be “low rolling resistance”, and those that are not can reduce MPG by 15% or more. My first crush was on Michelins, given their reputation, love among Prius enthusiasts, and to compete with Costco. The supply is unreliable, however; they’re constantly changing product and discontinuing lines. Further the price remains a tier above the rest, despite my attempts to secure a bulk rate and distributor account. Without a significant benefit and after much discussion with other folks, at Tire Rack and local dealers we respect, we focused on the Continentals. The ProContact brand is well established, competitor to the Assurance line from Goodyear, and known for excellent traction. Further the Continentals come with an 80,000 mile tread life warranty, longer than the Ecopia (65,000 mile). While warranty cannot be taken literally (the Fuelmax as proof), the EcoPlus should still last the longest. Beginning in July we purchased in small numbers, looking at quality (how well they installed and balanced) and were impressed. The supply is reliable and the price is comparable to the Fuelmax. By the end of summer LG exchanged all the Goodyears for Continentals, and we have not looked back. 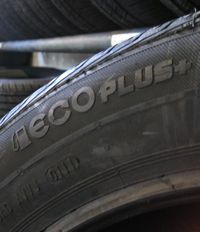 We now carry the ProContact EcoPlus for third generation Prius as well (P195/65R15). 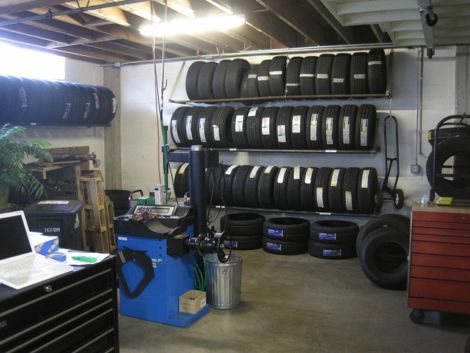 Evidenced by continuing blogs, the tire discussion is never really over. The good news is that LG actively seeks the best option for hybrid owners, learns by specializing, and extends that expertise to our customers. For more information or to book an appointment, use the contact page.